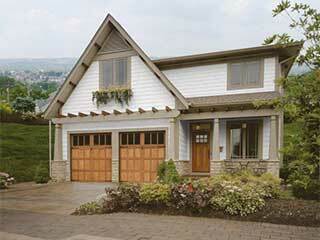 Home Blog When is it Time to Invest in a New Garage Door? Have you taken a good look at your garage door lately? If not, then it might be a good idea to do so. While it may primarily be a device to secure your car and other possessions, a garage door has more to it than meets than the eye. Among other things, an outdated door can become costly if it requires regular repairs and doesn't do its job from a safety perspective. Sometimes your garage is the only deterrent to home invasion or burglary! There are many reasons to consider purchasing or upgrading an older or outdated garage door, but here are our top 3! Consider the repairs you've had to pay for in the last few years, whether minor or major. Older doors simply require more maintenance and are more susceptible to wear and tear than newer models. If you anticipate further repairs are going to be needed in the foreseeable future and you've already invested in a number of repairs in the recent past, it may well be more cost-effective in the long-run to purchase a new door and ensure it is maintained well for the future. Believe us - it doesn't make sense to pay a significant amount in repairing an old door each year. If you're looking to sell your property in the future, how your garage looks not only influences how much your house is worth, it can also be a deal-breaker for new buyers. It’s tough to make a good impression on a potential buyer with a worn-out garage door. It’s a big part of the exterior of your house which people can see when walking along the street. It might seem like a trivial matter but replacing your old garage door with something modern and functional can change the whole way your house looks, and in turn increase its overall market value. This is by far is the one of the most important reasons to consider replacing an old garage door. With weights north of 400 pounds, you really don’t want to get caught under such a heavy door when a spring snaps or another component fails. Contemporary doors include an array of safety features to prevent potentially serious injuries from occurring. Moreover, a substantial percentage of home invasions happen through garage doors. While a burglar is likely to be a threat to your property, this situation may well aggravate to the point where there’s a threat to your life. If your current door is not cutting it from a security or safety perspective, it really is time to let it go. If you've decided the time is right for you to invest in a new door, our team of experts at Garage Door Repair Vista will happy talk you through your options, just get in touch!